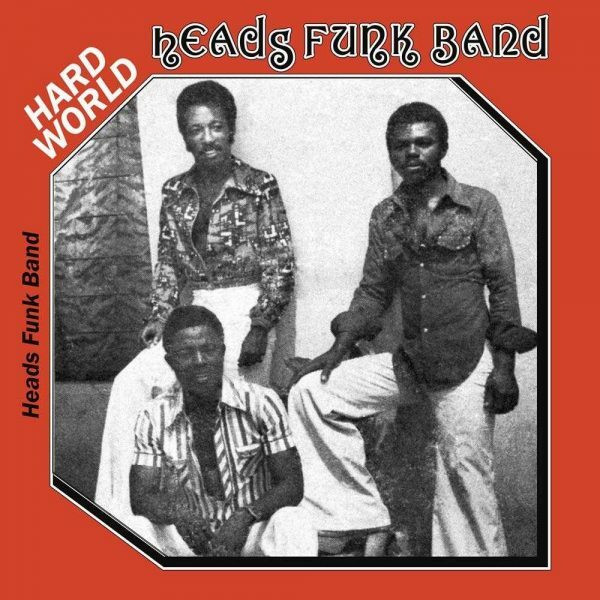 Hard World is the first of three albums released by Heads Funk Band and it’s one of the most rare LPs coming from Nigeria. What we have here is a pure, well crafted Afro-Funk. Heads Funk Band is related to Akwassa, where both are two exceptional bands with the same members, but co-existed simultaneously featuring Felix Odey (Feladey) on guitar and Eddie Offeyi on drums. The original forming duo of Akwassa was Felix Day / Feladey (guitar, vocals) and Kevin Coburn (keyboards, synths, vocals), who collaborated with guest musicians, which later turned out to be the actual Heads Funk Band. Some rumours say all of them were in both bands and musically speaking we can hear a lot of similarities. Akwassa released two incredibly rare albums, while Heads Funk Band managed to release three LPs, of which Hard World is the most hard to find. All 5 albums will be reissued on PMG in 2016/17. Feel the beat!